No time for the epic journey? Try a mini-mission in Northern Cal. Each year, I talk about going on The Big Ride, a multi-state adventure that satisfies my wanderlust while transforming me into a better human being. And so far, it hasn’t happened. I’ve been on a few overnight rides that could be seen as warm-ups for a long journey but the 2,000-mile odyssey across time zones has eluded me. For whatever reason, I’m no Captain America. Not even a wild hog. So it’s a good thing I live where I do on the north coast of California. It’s hard to beat as a jumping off point for mini-adventures. A weekend pass from work and family obligations is ideal but you can have fun with even less time. Here are three short trips I highly recommend. They all begin and end at the Golden Gate Bridge. If you live outside Northern California, you are just a plane flight and motorcycle rental away from the action. 1. 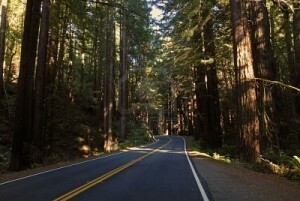 Highway 1/Mendocino loop: This three-county ride takes you to where the Pacific Coast Highway meets the redwoods. From the bridge, go north on Highway 101 to Mill Valley and exit at Hwy 1/Tamalpais Valley Road. It will take you west a bit to Muir Beach before it turns due north through Marin and Sonoma counties. Fort Bragg is about 60 miles north of Gualala. It’s a typical beach town with tons of clean, cheap hotels and a decent downtown. The brewpub is not to be missed. The return trip is faster. Head east on Highway 20 to Willits or shoot down Hwy. 1 to Highway 128, and go east through the scenic Anderson Valley. Hwy. 128 is preferred. Plenty of slow, sweeping turns with good asphalt underneath. All roads lead to Highway 101 at Cloverdale. You’ll be slabbing it on the freeway for about 75 miles to get back to Sausalito. 2. Trinity Wilderness (two nights): First day is about 225 miles. Head north from the bridge on Hwy 101 to Hwy 37 and go to Napa. 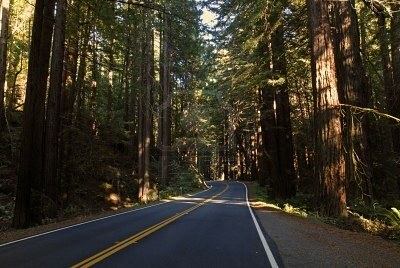 Continue north on Hwy 29 through the famous Napa Valley, past Clearlake and onto Hwy 20. That takes you to Williams on Interstate 5, where you’ll slab it for about 100 miles to Redding. The real fun starts just west of Redding when you get on Highway 299. First, you’ll want to find lodging in Whiskeytown or French Camp. Rest up on this first overnight stop because in the morning you’ll be departing for major adventure on Highway 299. It twists and turns along the Eel River in some of the most spectacular scenery around. Go all the way to Eureka or detour on Hwy 3 to Hayfork. Then find Hwy 36 and go west. Come down Highway 1/101 through the Avenue of the Giants. You can camp or find a hotel. The Benbow Inn is nice. In the morning ride 200 miles south to san Francisco on Highway 101. 3. Sierra loop (one night): Same as ride No. 2 but when you get to Williams head east through Colusa and Yuba City until to Highway 70. 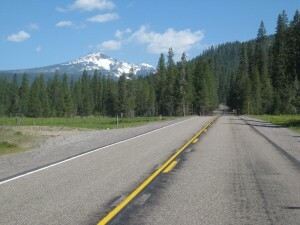 From there, ride northeast as the road ascends along the Feather River. Spend the night in Quincy, an old logging town on the back side of the Sierra at about 4,000 feet. 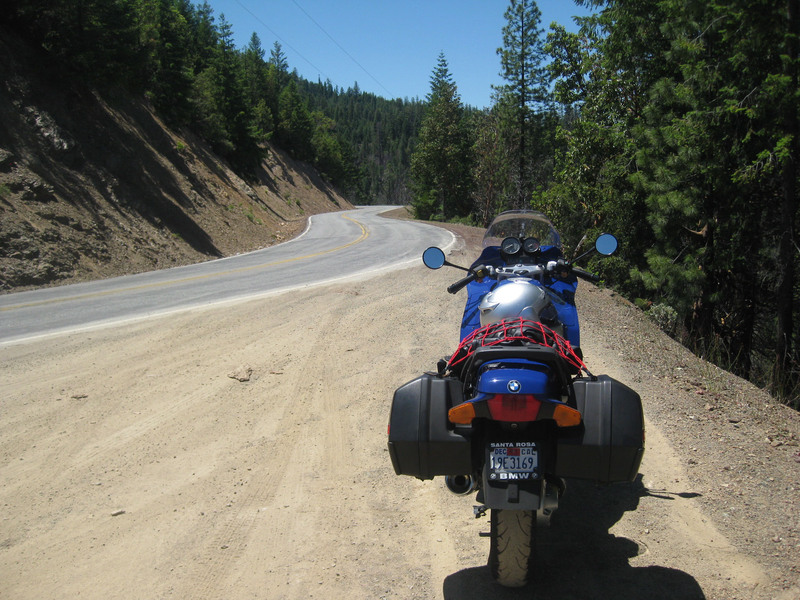 Next day, ride south to Calpine and get on historic Highway 49 to Grass Valley. 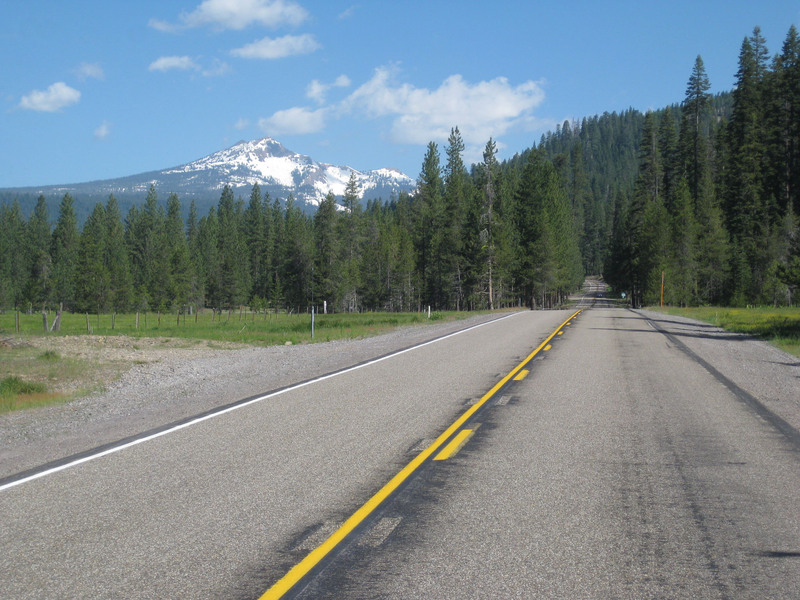 Go further south to Auburn and super-slab it 125 miles on Interstate 80 back to San Francisco.